The first quirk I encountered had to do with the car's collision mitigating braking system (or CMBS for short). I will admit that it has on more than one occasion saved my bacon, especially when I am trying to drive home while sick. My main issue with the system is often how sensitive it can be. On multiple occasions, I have had the system start beeping and flashing at me with oncoming traffic in the opposing lane. It can get frustrating when a car in the opposite lane is driving by and the system starts going bonkers. On one occasion, the system forced the car to emergency brake in the middle of the road. Thankfully, I was traveling at low speeds near home on a day when the roads were relatively empty. Still, if anyone was with me inside the car at the time, they would have gotten an earful of "STUPID F***KING CAR!" Despite this, I do still leave CMBS on just in case. After all, technology is always going to have its quirks, and that's unavoidable. Another quirk I have encountered is with the car's infotainment system. At first, I was highly annoyed with how complicated infotainment systems were becoming as I was used to the simple "radio with knobs" setup in my S2000. 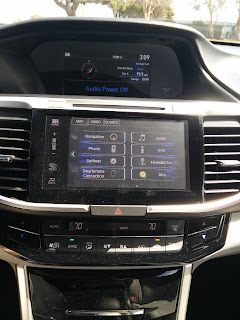 Even after I swapped the factory head unit for an aftermarket one, I still preferred it to the often complicated dual screen setup in our now departed Acura RLX and MDX. Naturally, I was fairly skeptical of the dual screen setup in our Accord. My skepticism was washed away after using the system in the Accord for about 10 minutes. It responds far quicker than the mess of a system in our Acuras, and there is much less menu digging to get to things. Having Android Auto also made life much easier. But as with any new technology, there are problems. 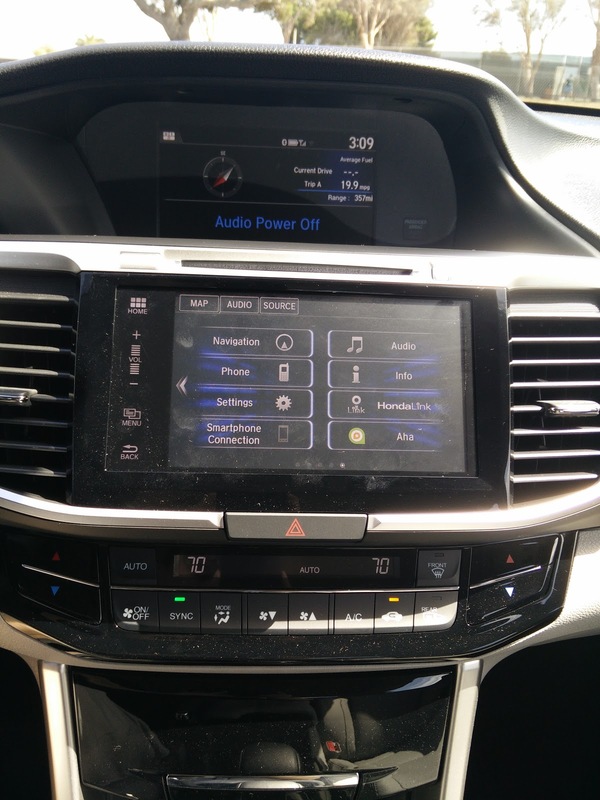 With the system in the Accord, I have experienced spontaneous reboots, times when the system would not detect my phone even though it is plugged into the USB port, and I have on occasion had to restart the entire car to get the system to boot up properly. It is an annoyance, but I think a the lot of us have become so jaded with modern technology that we take stuff like this as a normal occurrence. If these problems happened more frequently though, I highly doubt we would still have this car. 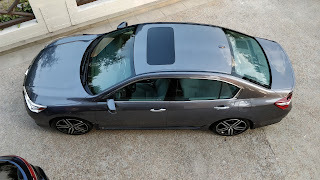 Aside from these technology related quirks, I have yet to encounter any major problems with the Accord. Interestingly enough, this update comes as we receive news that the Accord V6 is dead for 2018. Though I will miss the buttery smoothness of Honda's V6 offering, I do have to wonder how the car will be with a turbocharged engine. It has been confirmed that the Accord will get a detuned version of the Civic Type-R's 2.0 liter turbo four, and will be available with a six-speed manual in Sport trim. An Accord with a Civic Type-R engine and a manual? Sure, count me in!